How to make healthy food family friendly — this is one of the questions I get asked over and over again. In fact, I get asked this question so much, I created a special freebie around it: Healthy and Family Friendly. 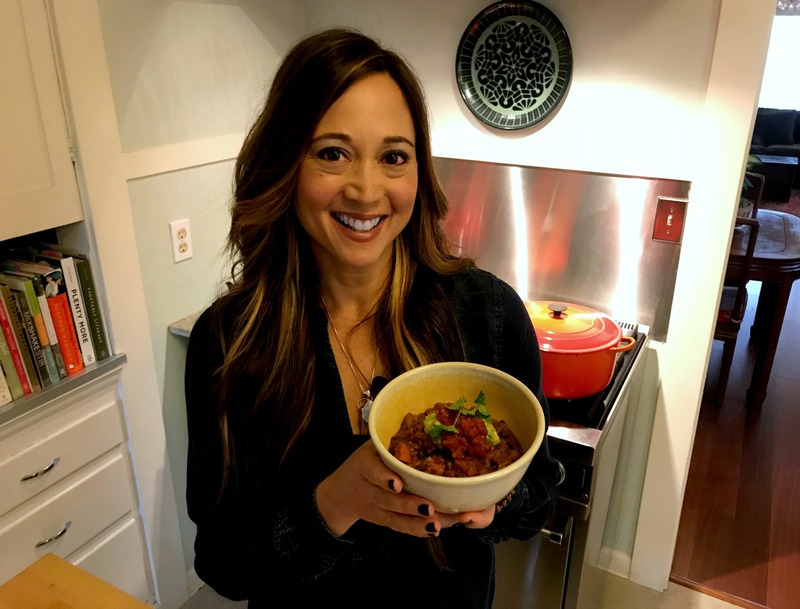 But before we get into my answer, check out my latest video, featuring one of my most family friendly recipes: Veggie Packed Chili. 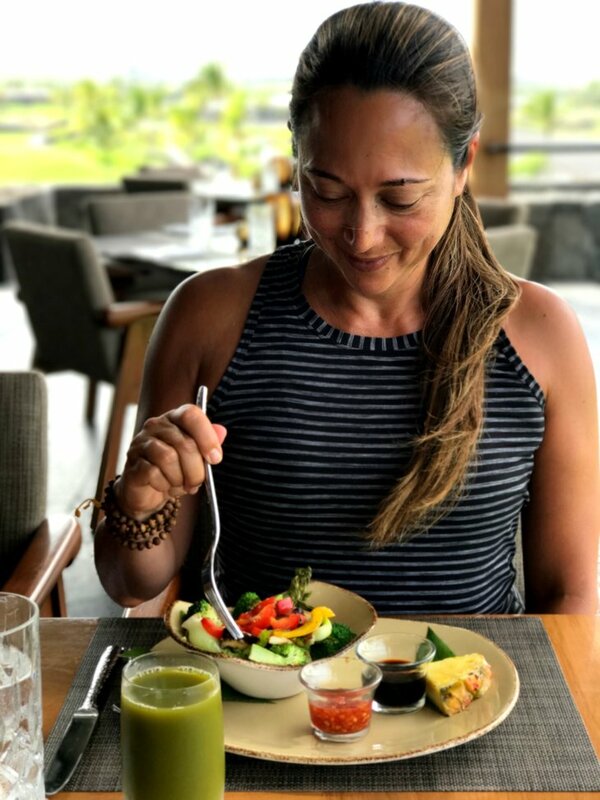 When my clients are trying to eat more plant-based — or they’re doing my Camp Kale program — they often ask me how they can get their family to eat what they’re eating… and get away from making two different meals at dinner time. I wish I had a silver bullet for everyone. I really do. But the short answer is this: it takes time. And patience. And flexibility. And a whole lot of meeting people where they’re at on their wellness journey. That said, let’s get into the longer answer. Okay, so how do we stop trying to force people (and ourselves!) to do what we want… and instead, provide that inspiration, that spark? Here are some ideas to help inspire your loved ones to try, enjoy, and eventually choose healthier foods. This is a tactic that can be powerful for your own health goals, as well as those of your family members. Start by having a family discussion or “circle time.” Maybe you even have pen and paper for everyone. Then, have everyone articulate (or journal about) what’s important to them for life in general, and how they will need to use their body for those experiences. In other words, what is their Why? As an example, I’ll go first: when I had my son at the “advanced maternal age” of 40, my Why become crystal clear. I knew that, as an older mom, I wanted to take extra special care of myself. I wanted to have enough energy to be a good parent, and I wanted to stick around, with a healthy body and mind, as long as possible. For your family members, their Why could look very different. Maybe a teenager wants to have clear skin or deal with headaches. Maybe a younger kid wants to be strong for sports. Maybe a spouse just found out their cholesterol test came out too high, and wants to avoid more serious heart issues. For starters, I recommend watching some inspirational documentaries. This way, you’re not the one who’s lecturing or nagging. The film I recommend to all of my clients is Forks Over Knives, which is appropriate for all ages. This film covers several people’s journey from ill health (heart disease, diabetes, etc.) to wellness: all through nutrition and lifestyle changes. It features commentary from several rockstar doctors I follow — and the results their patients experience are extraordinary. I also found that watching Master Chef with our son was very helpful. It helped him develop an appreciation for food and cooking, and how hard people work to make things taste delicious, and look good on the plate. Inspired by the show, I made a little joke out of presenting the plate to him, describing the ingredients and preparation like the contestants do on the show. After watching the show together, he was definitely more open-minded about new foods and ingredients showing up at mealtime, because he had already seen them on a TV show. In other words, these new foods were “famous,” as opposed to being something his mom randomly (or annoyingly) decided to cook. There’s no reason that a household should have one person slaving over the meals all by themselves. If you’re that person, chances are you can start to feel overwhelmed or resentful by that day-do-day responsibility. By getting people involved, I don’t mean that you need to enroll family members in a knife skills class, and turn them into your sous chefs. Although, that would be amazing. No, I mean get people involved through weekly meal planning — such as sitting down with a paper or dry-erase calendar once a week, and talking about the meals ahead. Let people request pasta night or Taco Tuesday. You can always make healthier version of these meals, but at least you’re letting people be part of the decision making process. You could also take your partner or kiddos to the grocery store, and let them choose one new produce item for the week… and maybe incentivize them by letting them also choose a healthy-ish treat. Maybe a fun concoction from the smoothie bar, or cinnamon pita chips, etc. At home, maybe you take that produce item and research recipes together on the internet, or look through cookbooks for ideas. Lastly, you can get people involved in the meal prep in small ways that don’t drive you crazy. Such as rinsing berries in a colander, taking the compost bin out, getting condiments out of the fridge and onto the table, etc. I don’t mean chaining them to the table until they eat their broccoli, silly! This method is more like figuring out what someone’s gateway “drug” is, and then using that ingredient as a “chain” to link it to healthy ingredients. For example, my kiddo loves garlic, and he loves butter (or Earth Balance vegan butter, as the case may be). Over time, I learned that if I made a garlicky butter base for pasta, I could get away with throwing in a few leaves of spinach. Then, I started adding tiny bits of chopped zucchini. I added a little more each time I made the pasta. Then, I added a single mushroom, chopped into tiny bits. Fast forward a couple of years, and now he loves mushrooms! It’s okay that he loves them because they’re infused with garlicky, buttery flavor. We can work on dialing down the butter factor later. Other ideas include using a sweet dressing (flavored with pure maple syrup) and fruit with salad — or serving salad without dressing. 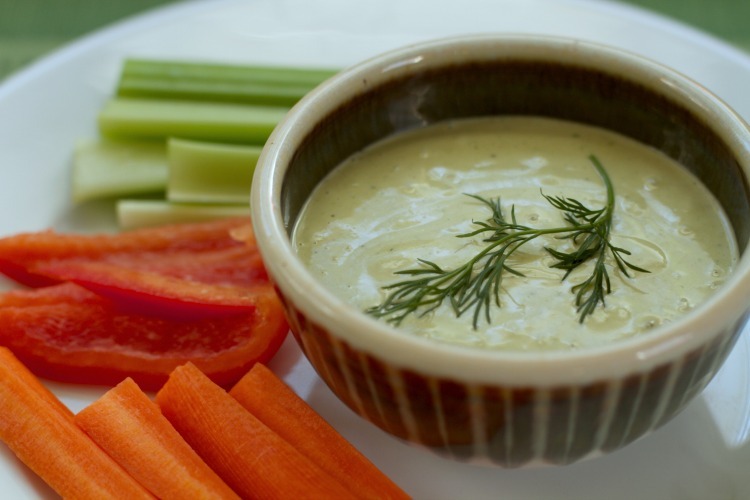 A lot of kids prefer salad (and raw veggies) with no dressing. My son loves what he calls “crunchy lettuce” (romaine), so I serve salad to him with plain romaine, some sliced strawberries, and a couple of carrot sticks. 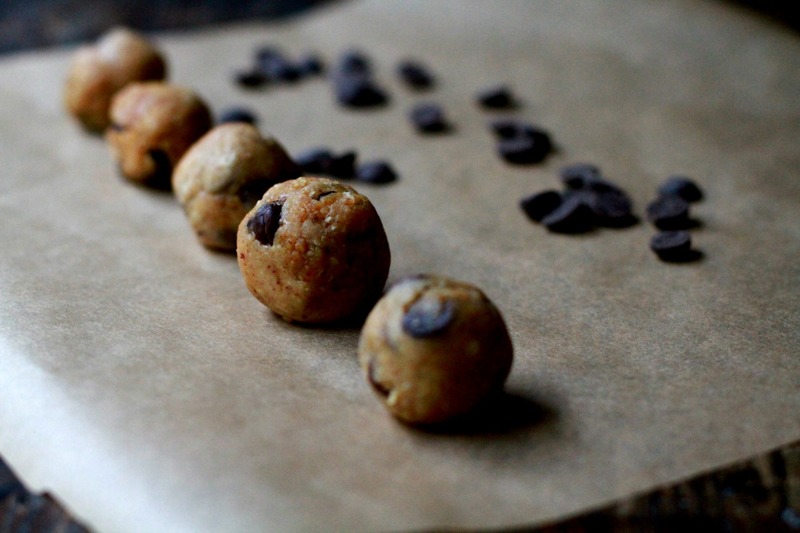 Or, you could start sneaking healthy ingredients into their snacks — check out my recipe for Chocolate Chip Chickpea Energy Bites. Or, if they like wraps or burritos, you might try sneaking salad greens and sliced veggies into a wrap with their favorite protein. This method takes time — weeks and months of easing veggies into favorite dishes — but it’s well worth the diligence, I promise. All the while, you can be making the portions of animal protein smaller, and offering larger portions of healthier foods as your loved ones’ palates change. Getting your loved ones to eat — and choose — healthy foods is a long term play. It can take weeks, months, and even years. Which makes sense. We should always be evolving, right? In the meantime, remember to be flexible, and to create an environment where the healthy food engages all of the senses in a positive manner — meaning, it looks pretty on the plate, smells lovely, and includes flavors they love. Remember that everyone’s palate is different, especially as it relates to kids. If people’s palates have grown accustomed to regular installments of chicken fingers, mac-and-cheese, cheeseburgers, pizza, Pirate’s Booty, and candy, it’s going to be awhile before they can appreciate bitter salad greens or tempeh. This is true for our own palates as well. It takes time to detox our taste buds from daily use of cheese (high in salt and fat), fried foods (french fries are my kryptonite! ), wine, etc. Eating clean doesn’t mean we always have to prepare two different dinners. We can still make one dinner, but serve it differently. For example, maybe you make pasta and a salad for dinner. To keep things clean for you, you might use gluten-free pasta and make a marinara sauce, and sneak in some spinach, as well as cannelini (white) beans or crumbled tempeh (or, try Beyond Meat Crumbles in the frozen section). In addition, maybe you sauté some chicken sausage on the side (or have some rotisserie chicken on hand) as you work on transitioning your family away from a meat-focused diet. Then, when it comes time for dinner, serve yourself an entree portion of salad, and a small (up to 1 cup) portion of pasta. You can also toss the pasta in with your salad, and make it Mediterranean style. Everyone else gets a normal size portion of pasta, along with a side salad. You skip the sausage, and serve a small portion (i.e. size of your palm) to your family. 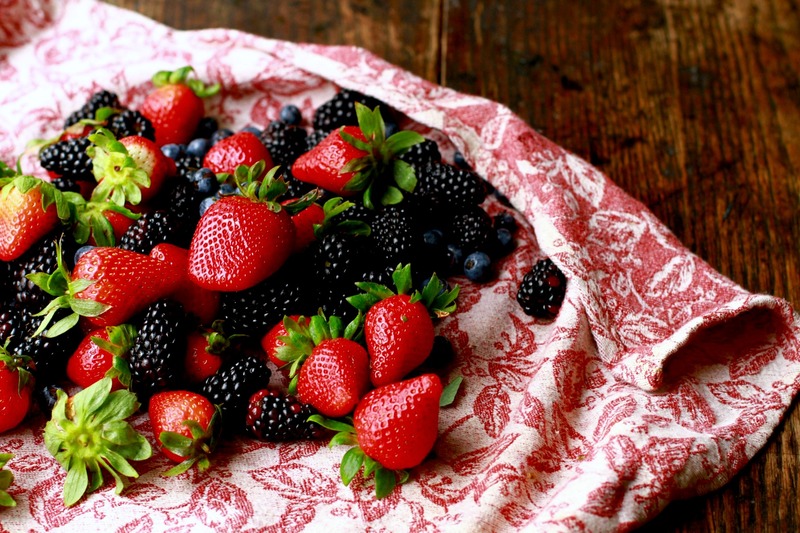 For dessert, set out a bowl of fresh berries — it’s always a crowd pleaser, and it can help address post-dinner sugar cravings. Over time, you can start increasing the veggie content in the pasta — and add more chopped veggies to your salad — while also reducing (or eliminating) the amount of meat accompanying the meal. Want to try my most family friendly recipe? 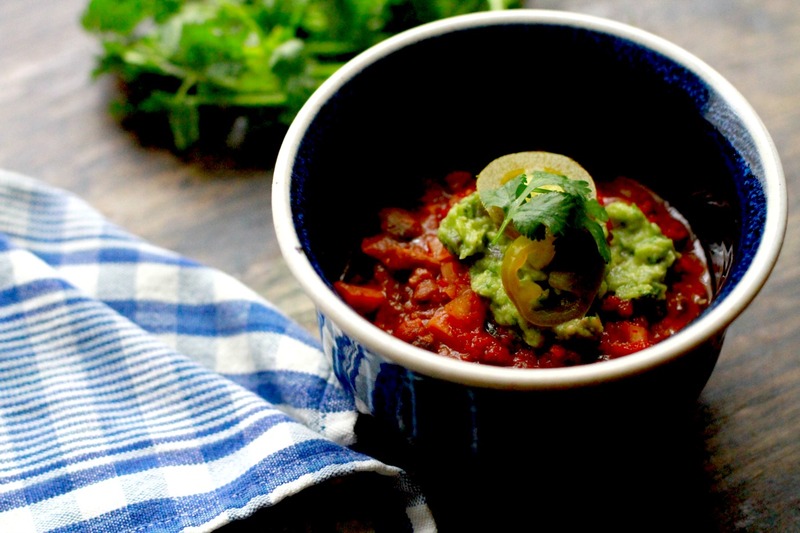 One of my most popular recipes — and most family friendly — is Veggie Packed Chili. 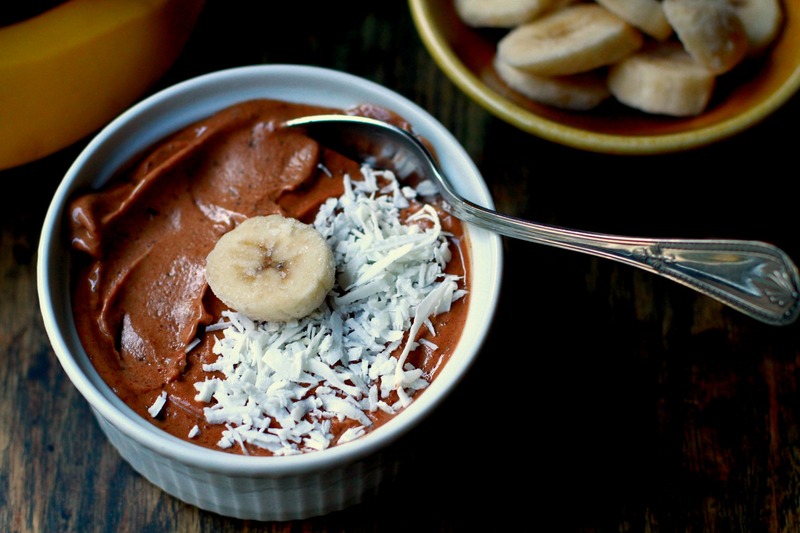 This recipe is sneaky and stealthy. In the very best of ways. The kiddos (or other picky eaters) will have no idea how many vegetables you’re sneaking into their dinner. It’s hearty and satisfying, and made even more delicious by your family’s choice of toppings. To check out the recipe, click on the green box below. 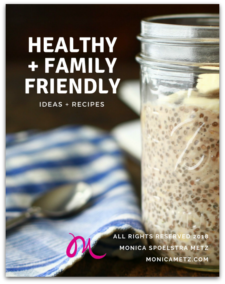 Click here to grab your freebie: Healthy + Family Friendly.